Methadone.US launched in the first quarter of 2011 and has experienced substantial growth over the last 6 weeks. The website, just since February 1, has been visited by internet users in 1205 different cities who were searching for methadone clinics and opioid treatment services in their general vicinity. The extensive reach of the site has been truly remarkable. 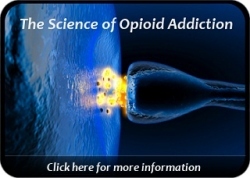 With the site having been visited by individuals in hundreds of American cities, it is a safe assumption that people are very interested in learning more about methadone as a potential treatment intervention for their opiate addiction. There are many people in America who have found themselves physically dependent on prescription pain medication. Finding an answer to this dilemma is their chief priority. The availability of opioid replacement therapy (methadone or suboxone) is improving almost on a daily basis. 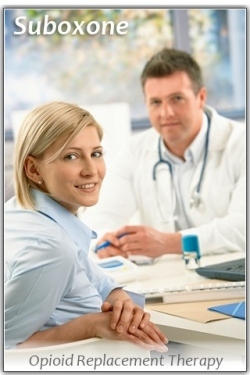 Science and medicine are continually advancing for the benefit of those who want a healthier life. Fortunately, technology has made it much easier for people to obtain the critical information they need … anywhere and anytime. The internet, and website technology, are at the very center of tomorrow’s information superhighway. The value of bringing important information to millions of people needs no explanation. New York City has the highest concentration of methadone clinics and buprenorphine providers in the country. Not only is New York the most populated city in the United States, but it is also one of the most densely populated areas in the world with 8 million people living in an area just over 300 square miles. With larger populations come larger numbers of people in addiction. Consequently, it stands to reason that New York City would be a leader in providing opioid addiction treatment. There are well over 100 New York methadone clinics and area physicians approved to write prescriptions for suboxone (containing buprenorphine). At one time, methadone was a treatment of choice primarily used for heroin addiction. However, with the enormous increase in pain pill addiction (Oxycontin, Vicodin, Percocet, etc. ), methadone clinics are now accessed by many clients who have never used heroin. Quite a number of individuals report beginning their use of oral opioids as a means of controlling pain. But tolerance & continued use over time developed into a long term opioid dependency. The emergence of methadone clinics across America is a very positive development. Medication-assisted treatment prevents opioid related deaths, reduces crime, reduces risk of severe health problems, and allows individuals to restart their lives in an unprecedented manner. Not too many years ago, one had to live near a major metropolitan city in order to gain access to methadone treatment. This trend is changing rapidly as America comes to grips with the problem of addiction. Buprenorphine is also part of the answer, and has increased the number of viable options available to those seeking recovery.